Celebrate Mother's Day on Sunday 26th March! It'll soon be Mother's Day and I have put together a selection of gifts perfect for all the mums, grandmas, sisters, aunts, friends... anyone who you think deserves a treat! 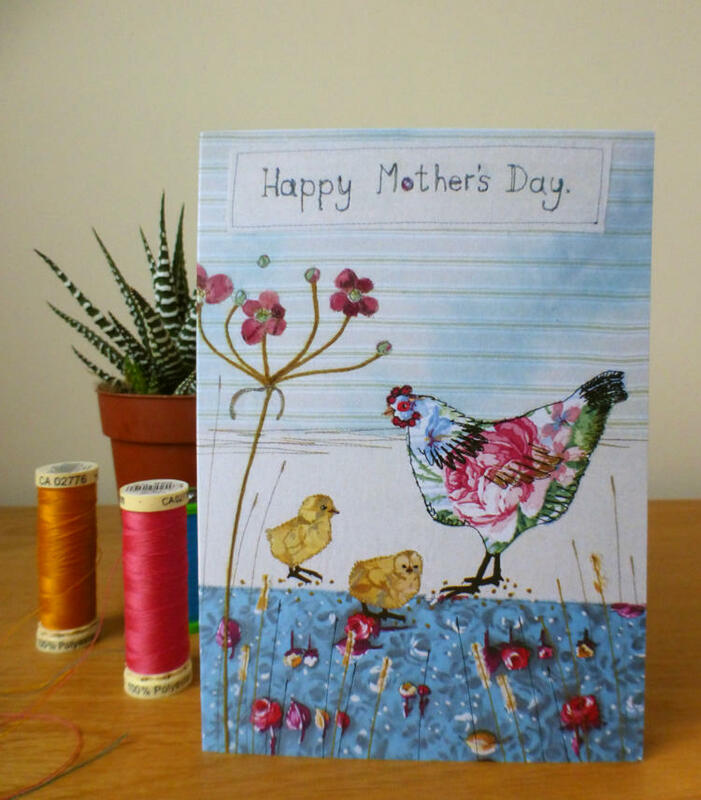 A lovely card taken from my original textile, featuring a hen and her chicks. All cards are A6 size and come supplied with a brown envelope. They are blank inside for your own personal message. The same design without 'Happy Mother's Day' is also available. Did you know that I can also write a personalised message inside the card to send directly to the recipient? Please select 'Personalised message for the recipient' when you make your purchase. This luxury blackbird gift box is part of my new range of letterbox gifts. They will delight the recipient and what's more, they'll fit straight through the letterbox so no waiting at the Post Office to collect your parcel! 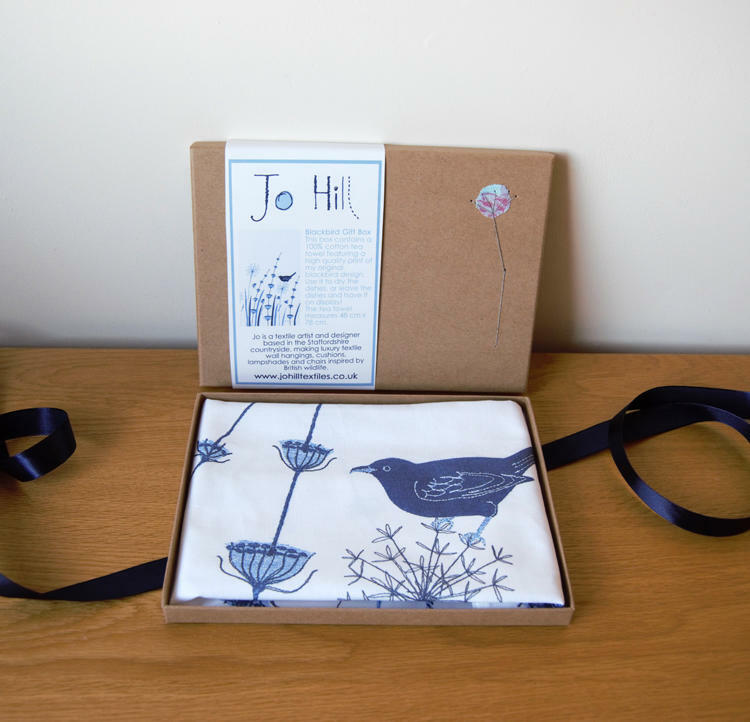 Lots more gift boxes available on the website, including the hen and chicks design. Introducing the brand new range of printed homewares! You may already know that I have been working hard over the past few months to get my designs printed onto a range of cushions and canvasses. Well here they are! 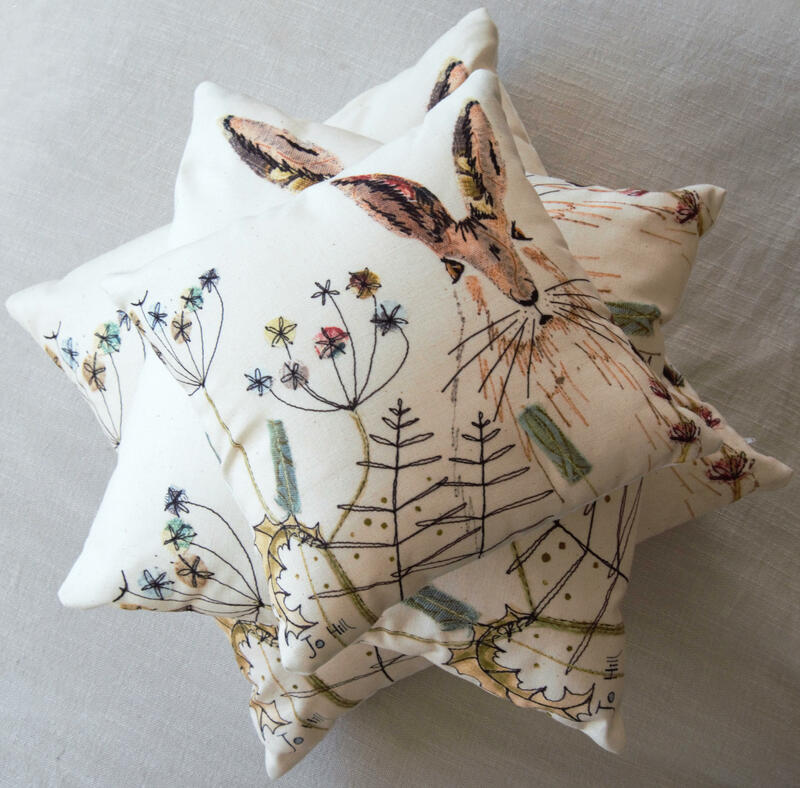 The popular hare design is the first in the range and there are three different sizes of cushion available. They are made using a lovely soft linen-look fabric and have a zip on the back. Matching canvasses are also available. I'm so pleased with these and I think they'll make the perfect gift!